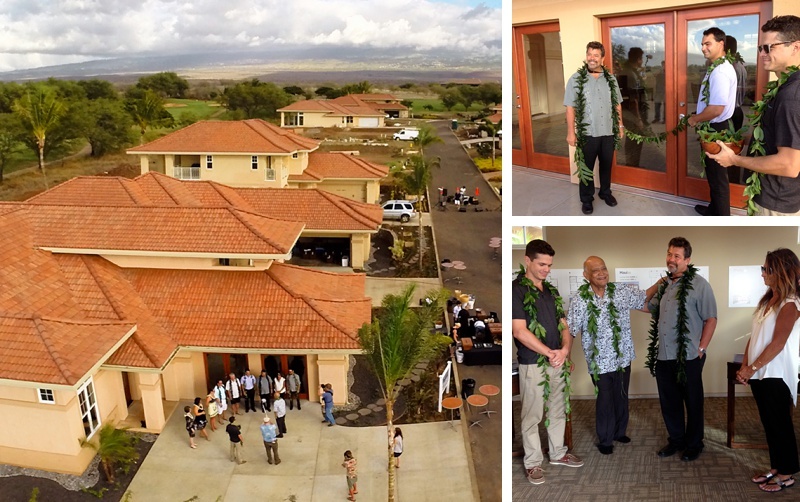 This weekend marked a major milestone for our team and the community of South Maui as we celebrated the opening of our 3 new model homes at Hokulani Golf Villas. The day began with a traditional Hawaiian blessing, performed by our friend and kupuna, Uncle Les. He gave a touching speech and each member of the team also shared some wonderful words. It was a truly special event. After the blessing, it was time to start welcoming guests to our community as we were having a block party in celebration! 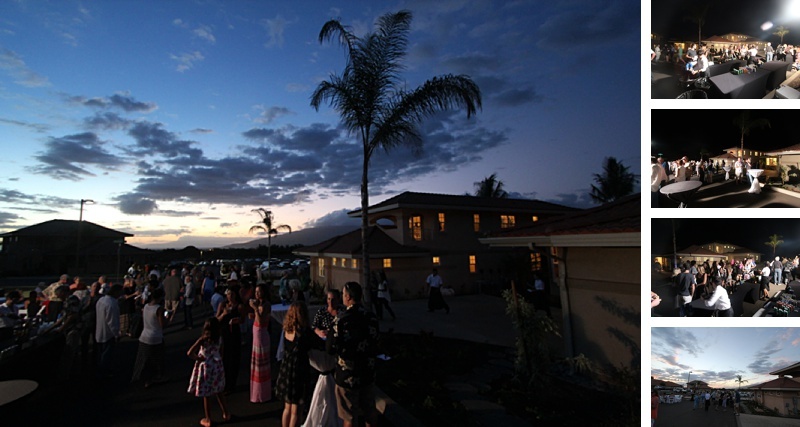 As the sun set, more and more people started to arrive and they dropped off there cars at the valet provided by Kaholo. We had current homeowners, realtors, family, friends, clients, prospective buyers, and those just looking for a good time! 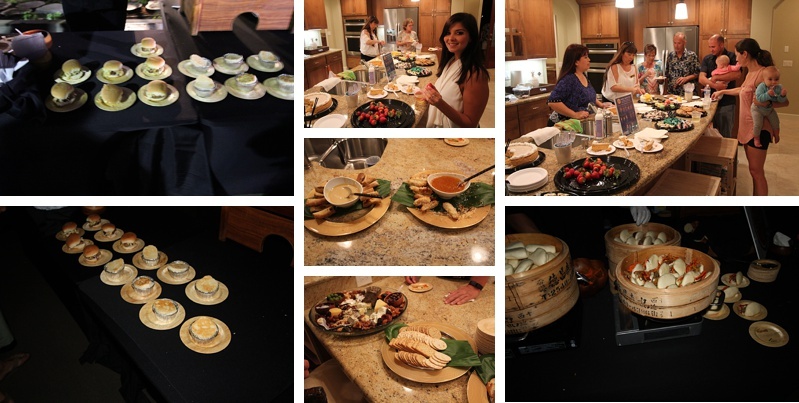 The food was a definite standout, including steamed pork buns, meatloaf sliders, and chicken pot pies from Joe’s Restaurant and coconut shrimp, black bean chicken skewers, ahi poke crustini, and Bev’s famous crab dip from Gannon’s and Hali’imaile General Store. Our night was capped off with some rocking tunes by Eric Gilliom and his band, featuring Dr. Nat and Vince Esquire. Eric is a local Maui boy with tons of energy and a style that incorporates many different genres. There was no shortage of fun to be had— people were literally dancing in the streets. The turnout was tremendous and I can safely say everybody had a fantastic time. Come Down For More Celebrating! We’ll be celebrating down here all weekend long and want you to come join us. All 3 models will be open from 9-5, and we’ll be serving lunch courtesy Fat Daddy’s Smokehouse, with sliders, hot dogs, coleslaw, cornbread, brownies, and homemade potato chips. We hope to see you here!